In the United States, there are over 3.1 million women with a history of breast cancer. This year, over 266,000 women are expected to be diagnosed with invasive breast cancer. To help doctors better detect and treat this disease, researchers are turning to artificial Intelligence. 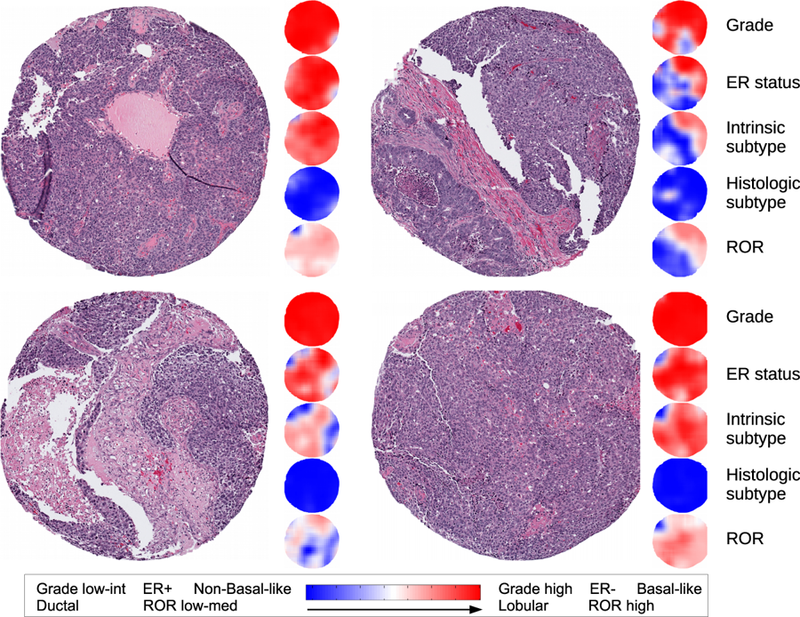 In a recently published study from the University of North Carolina, researchers describe a deep learning-based system which they developed to analyze breast cancer digital pathology images and classify tumors with high accuracy. Most advances in prognostication, however, have relied on molecular methods, which can be costly and are not routinely performed on all clinical patients who could benefit from them, the researchers said. Using NVIDIA Tesla GPUs the team trained a convolutional neural network on over 500 pathology images of breast cancer tumors from the Carolina Breast Cancer Study to classify tumors as to grade, estrogen receptor status, PAM50 intrinsic subtype, and histologic subtype. This allowed the calculation of a risk recurrence score based on this data. The team then tested the neural network’s accuracy on a separate set of 288 images. The algorithm was able to distinguish between low-intermediate versus high-grade tumors with 82 percent accuracy. Four H&E cores from a single patient and heat maps indicating the class predictions over different regions of the image. Class probabilities are indicated by the intensity of red/blue color with greater intensity for higher probabilities. Uncertainty in the prediction is indicated by white. This patient was labeled as high grade, ER negative, Basal-like intrinsic subtype, ductal histologic subtype, and high ROR. The study was recently published in the journal NPG Breast Cancer. The team hopes that one day the algorithm could be used to identify patients who would benefit from further genomic testing. 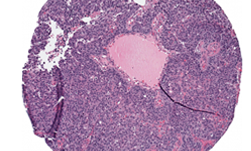 Another potential use of the algorithm would be determining the Estrogen Receptor status of a tumor directly from the pathology image. This would be extremely helpful in countries with limited laboratory testing resources.